THE previous post, which was about the USPTO, gave some examples of new US patents. The Office continues to grant patents on abstract ideas or mere algorithms (ignoring Alice/35 U.S.C. § 101 as per SCOTUS). There’s also an agenda in some circles to permit patents on nature/life in spite of decisions such as Mayo. Over the weekend a site which advocates patents on life advertised some J A Kemp nonsense (this firm, J A Kemp, keeps promoting antibody patents at the EPO). Lawyers try to overcome rejections of patents on life and this site has just promoted a “Webinar on Antibody Patenting After Amgen v. Sanofi” (lobbying ‘dressed up’ as a forum or ‘webinar’). It also added this PTAB ‘webinar’ with a stacked panel. “Tyson Benson of Harness, Dickey & Pierce, PLC will address revisions to the PTAB’s Standard Operating Procedures (“SOPs”) relating to paneling of matters before the PTAB and precedential and informative decisions,” it says. These are echo chambers. They’re full of law firms. From the USPTO: The United States Patent and Trademark Office (USPTO) has published a Request for Comments (RFC) about a proposed procedure for motions to amend filed in inter partes reviews, post-grant reviews, and covered business method patent reviews (collectively AIA trials) before the Patent Trial and Appeal Board (PTAB). In essence, the proposal includes: providing the parties with the Board’s initial assessment of the proposed amendment early in the process; providing meaningful opportunity to revise, and oppose, proposed amendments; and ensuring that the amendment process concludes within the 12-month statutory timeline. The proposal is based upon six years of experience conducting AIA trials during which time more than 350 motions to amend have been filed. The USPTO seeks written comments on these topics on or before December 14, 2018. Watchtroll has USPTO as “author” (same text as above). It increasingly looks like Iancu just runs the Office in collaboration with these patent zealots. They are not scientists. So these judges are now attending conferences organised and controlled by private law firms. This spoils perception of separability in the patent system. 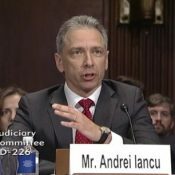 Alluding to courts like those in Eastern Texas, Watchtroll has also just amplified Iancu gently maligning/bashing the courts. It is no secret that Eastern Texas attracts entities that are still pursuing fake patents or software patents (why does the USPTO even grant all these?) and this latest listing is a reminder of it. We assume that Iancu just wants to somehow broaden patent scope even though he’s not a judge and he should not have a say on this matter (that would be dictatorial). The US Court of Appeals for the Federal Circuit has upheld a district court ruling which rejected Apple’s call for its patent dispute with AGIS Software Development to be transferred to a different forum. AGIS Software sued Apple in June 2017 at the US District Court for the Eastern District of Texas. Apple then requested that the lawsuit be transferred to the US District Court for the Northern District of California. Apple’s explained that it had significant ties to the proposed transferee venue and argued that AGIS had “no meaningful connection” to the Texan court. Apple said that AGIS had registered to do business and rented its office space in Texas just a month before filing the lawsuit. AGIS refuted Apple’s claims, arguing that its connections to the Eastern District of Texas were “not merely to make that district appear more convenient”. Iancu frames this as a patent scope matter, but it isn’t. This is akin to tax dodges/evasion, wherein companies pretend to exist where they don’t actually exist (in order to reach particular laws or judges). USPTO Director: It’s A New Day At The PTAB! Is It A New Day For Low-Quality Patents? United States Patent and Trademark Office Director Andrei Iancu yesterday proclaimed what industry patent attorneys may have wanted to hear, that the recently implemented system for challenging the quality of patents in the United States could be reined in under his leadership. Maybe they should compel the Office to follow the courts by actually suing (the USPTO, unlike the EPO, can be sued). They have sufficiently deep pockets to challenge the Office in courts. The Federal Circuit recently issued a nonprecedential decision in BASF Corporation v. Enthone, Inc. which vacated an earlier decision stemming from an inter partes review (IPR) proceeding at the Patent Trial and Appeal Board (PTAB) which had upheld a patent owned by Enthone as valid over an obviousness challenge asserted by BASF. The day before CardioNet’s lawsuit was officially dismissed in a largely ceremonial one-page order, Judge Talwani issued a memorandum and order granting InfoBionic’s motion to dismiss after the court found that the ‘207 patent was directed to a patent-ineligible abstract idea when applying the two-step framework laid out by the U.S. Supreme Court’s 2014 decision in Alice Corp. v. CLS Bank International. In the first step of the Alice framework, Judge Talwani found that claims of the ‘207 patent were directed to the abstract idea that atrial fibrillation (AF) can be distinguished by focusing on the variability of an irregular heartbeat, an argument advanced by InfoBionic. CardioNet had countered that the ‘207 patent represents an improvement to the function of cardiac monitoring devices through the use of specifically programmed rules, or “determination logic,” coupled with beat detecting technology and an event generator. Judge Talwani found that CardioNet’s argument were more appropriate for step two of the Alice patent-eligibility test. “The idea of using a machine to monitor and analyze heart beat variability and interfering beats so as to alert the user of potential AF events may well improve the field of cardiac telemetry, but Plaintiffs do not identify improvements to any particular computerized technology,” Judge Talwani wrote. Yes, well… this is pretty normal. There are § 101 rejections (invalidations) aplenty, but Watchtroll rarely mentions these, it only complains and then begs for Iancu to somehow bypass the courts (which he cannot). In the recent decision of Data Engine Technologies LLC v. Google LLC, the Federal Circuit may have expanded how factual questions underpin subject matter eligibility analysis under Section 101. Since the two-part eligibility analysis was established by Alice v. CLS Bank, courts have repeatedly emphasized that eligibility is a question of law, not fact. Courts have used this rationale to justify holding claims patent-ineligible without considering extrinsic evidence. Often, this leads to early dismissals of infringements suits, which limit patent holders’ ability to present evidence in support of their patents. Notably, the court in Data Engine Technologies did not rely on extrinsic evidence to support its statements, but rather based them on what is technically intrinsic evidence—articles included in the prosecution history of the patent at issue. But at least with respect to obviousness, the question of commercial success is one of fact. If commercial success is relevant to part one of the eligibility analysis, as it was in Data Engine Technologies, it is unclear why extrinsic evidence should not be referenced to establish that success. A patent holder might therefore argue under Data Engine Technologies LLC that a court should allow for submission of such evidence prior to deciding whether a claim is patent eligible under Section 101. If successful, such arguments may preclude early dismissal of a case, which was similarly precluded in Berkheimer and Aatrix Software. This has nothing to do with Berkheimer and Aatrix and the same court accepted other GUI patents only months earlier.